Battlefield V tops new releases with 110,653 retail sales. Battlefield V for PlayStation 4 was the top selling new release in Japan last week with 110,653 retail units sold during its opening week, the latest Media Create sales figures reveal. 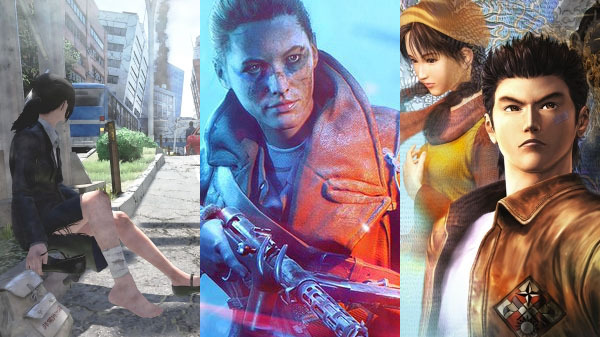 Also new last week, Disaster Report 4 Plus: Summer Memories and Shenmue I & II, both for PlayStation 4, launched at 42,272 and 37,529 retail sales, respectively. Outside of new releases, Pokemon: Let’s Go, Pikachu! and Pokemon: Let’s Go, Eevee! continue to do well a week after launch with an additional 162,467 sales. On the hardware side, Switch sold 108,375 units, the PlayStation 4 family sold 24,364 units, and the 3DS family sold 9,884 units.